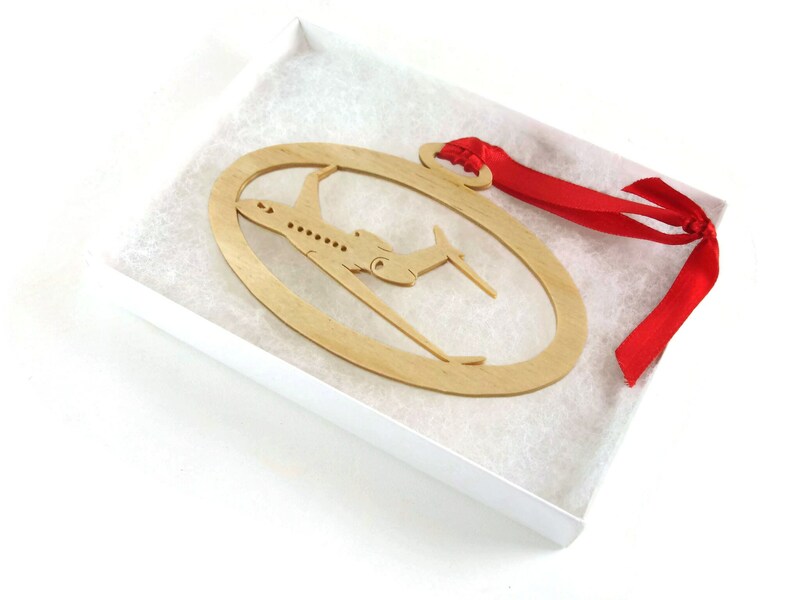 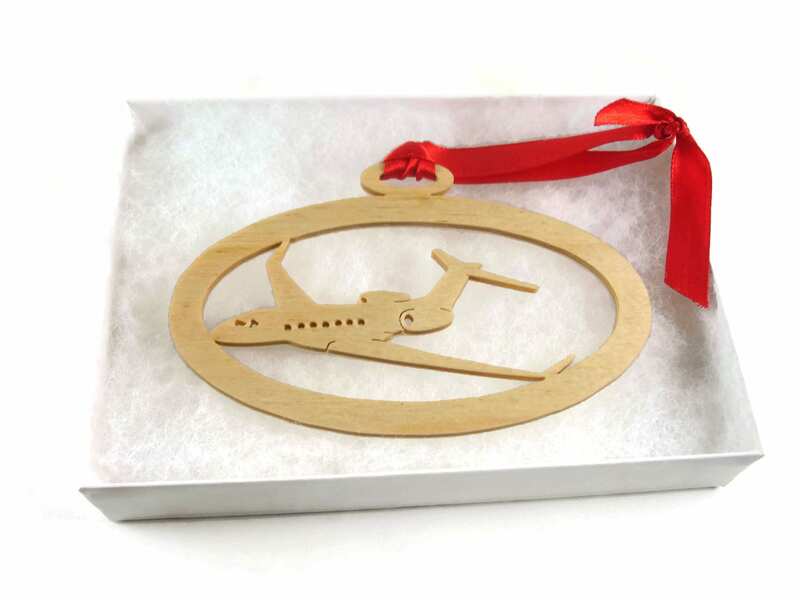 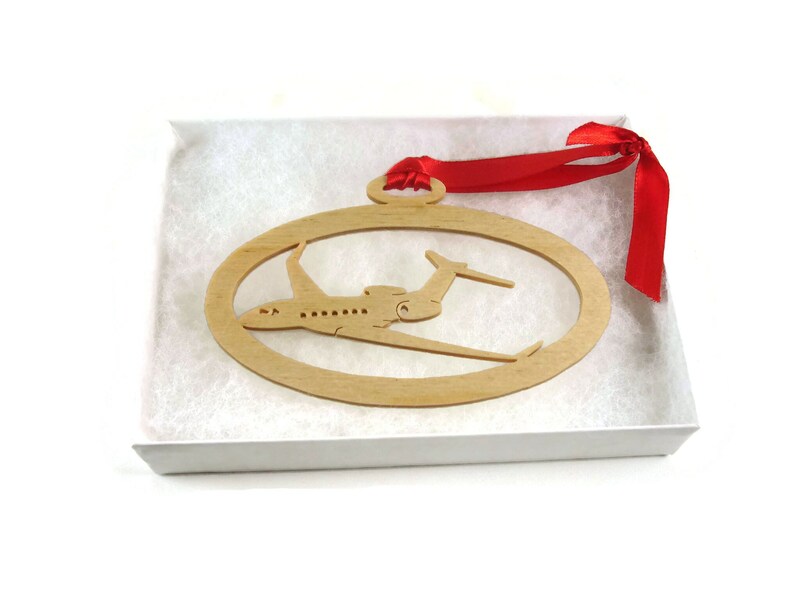 If you or someone you know is a airplane / jet enthusiast, specifically the Gulfstream G-550 then this is the perfect gift to get yourself or that special friend. 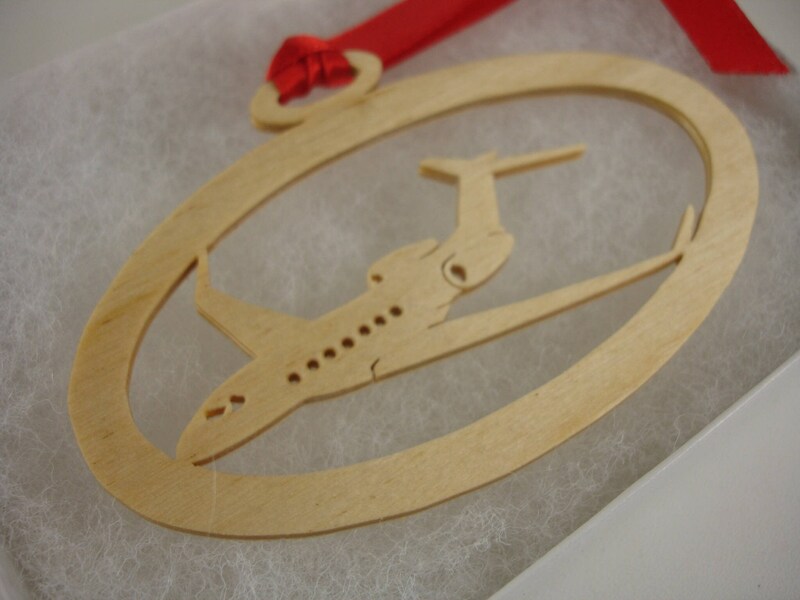 This Gulfstream G-550 was cut by from birch wood using a scroll saw and features the cutout of the Gulfstream G-550. 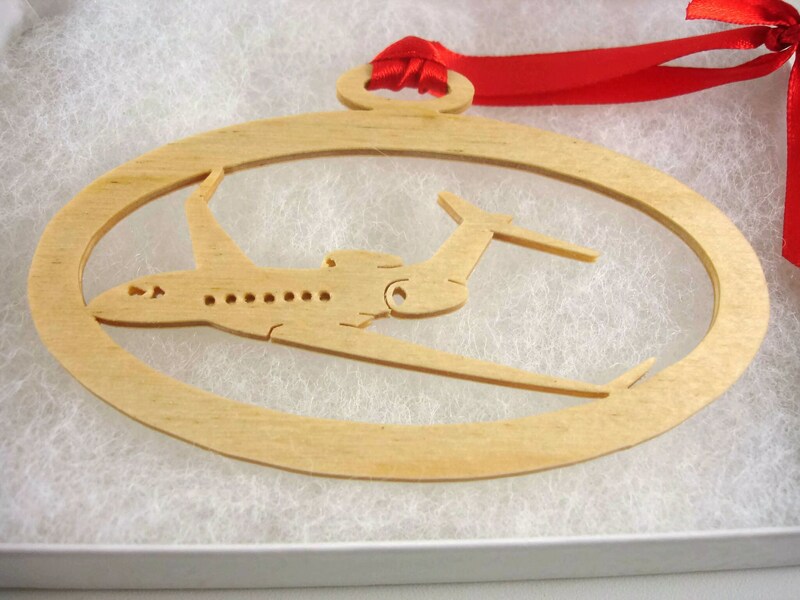 A homemade natural beeswax and mineral oil finish was applied for a all natural wood look while giving superior non-toxic protection for many years of enjoyment. 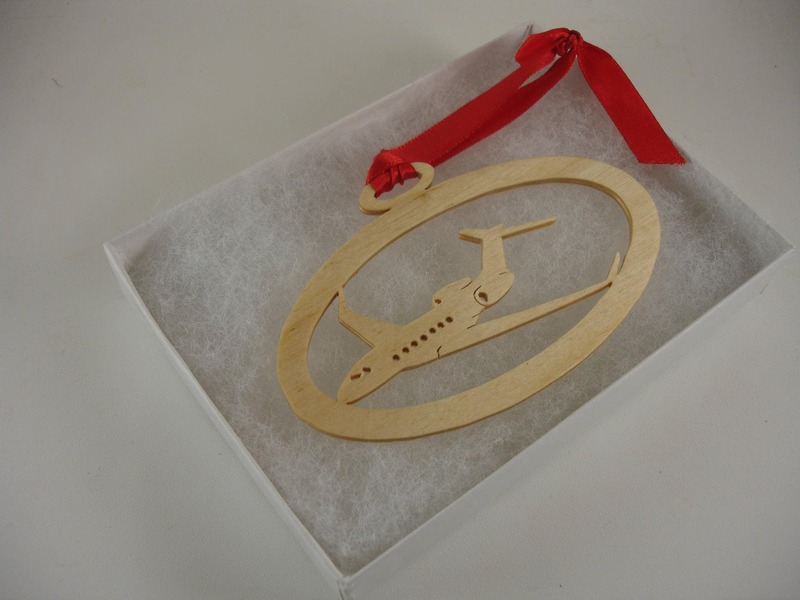 A fabric ribbon is added for ease of hanging on your tree.